Join the Post-Apocalyptic Dance Party with the Decemberists at the Greek Theatre July 31st! 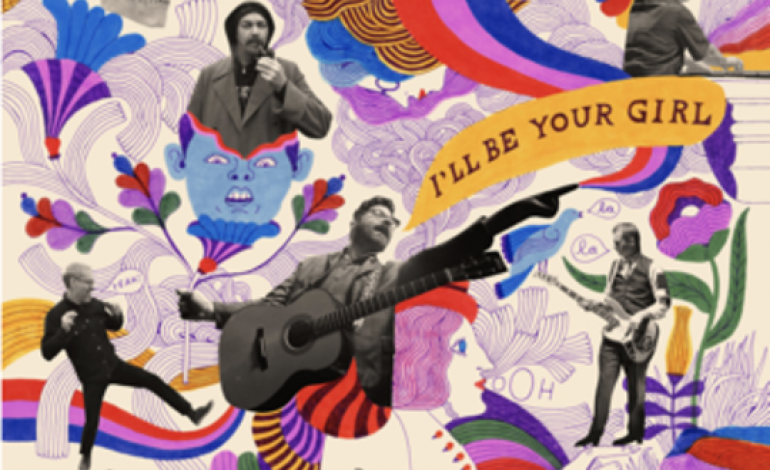 Back with a fresh new sound, The Decemberists released their 8th album I’ll Be Your Girl was released on March 16th 2018. This album delves into darker themes like dying young and the afterlife. With a new music producer on board, John Congleton, the darker themes are combined with dense and busy arrangements giving a feeling of chaos and paranoia. Their latest music video for “Severed” follows this trend as well with a visually stunning animated short that brings the album cover art to life. The animation and visuals resurrect the imagery of the 1970’s combined with casual sketch book doodles, and black and white videography. The video starts with a group of businessmen riding in a car driving into a serious of swirling lines. Then starts what seems to be a dream with images of tanks driving through the trees and people being plucked from their homes. The video makes parallels to both the Vietnam War with tanks driving through trees and snakes in the jungle, with protestors shouting the lyrics to the song. Then a face that looks strikingly similar to president Trump appears with devil horns. This large political statement relates the political climate today to the 1970’s in a profound way through visual imagery and through their music. The lyrics are aligned with what President Trump’s tone and point of view – saying outrageous statements that will harm and “sever” entire subcultures of people. This tone carries through the album and is said to be a “Post-apocalyptic” dance party. So if you’re feeling like all is lost in this political climate, but want to make the best of the night and dance – check out the Decemberists on July 31st 2018 at the Greek Theatre.